Finishing touches for your mezzanine installation. 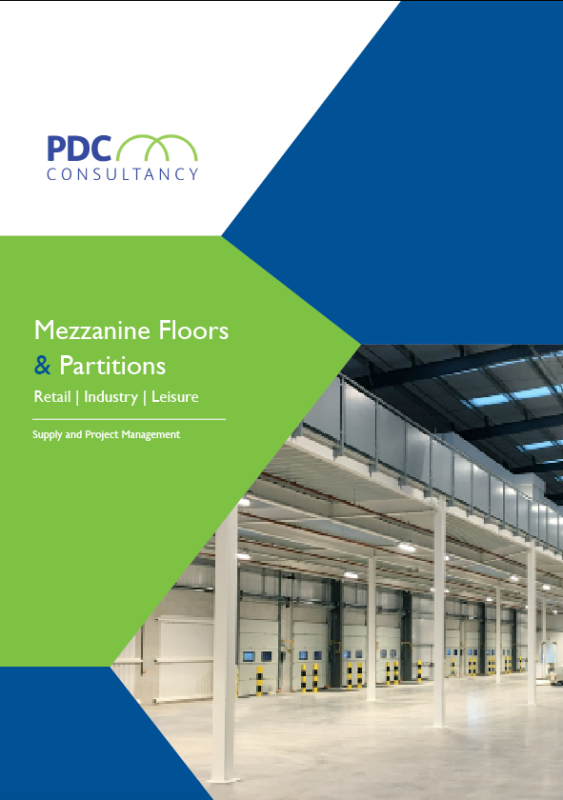 PDC consultancy offer a wide range of accessories to compliment your mezzanine floor project. 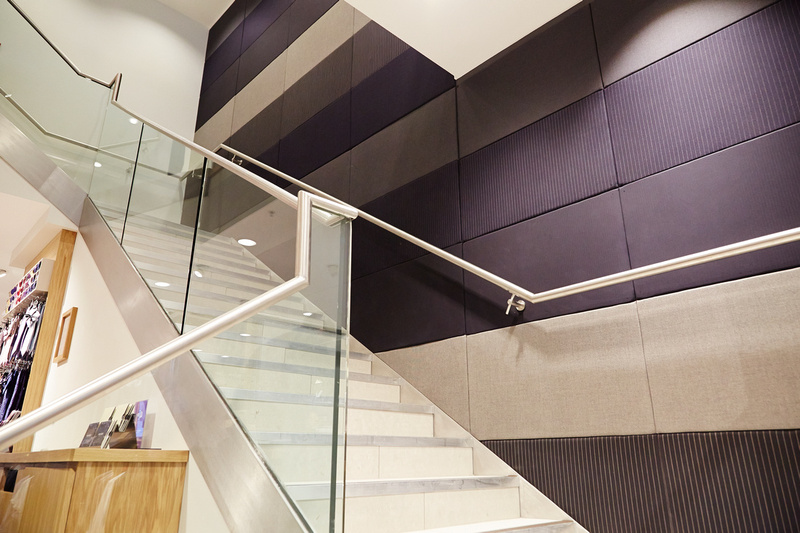 Standard utility staircases and handrails, to high quality stainless steel and glass balustrades we are able to accommodate any safety or design requirements. Whether you need a stylish retail staircase, expandable pallet racking, or fully fire protected partitions then we can help. Our design team have access to thousands of mezzanine floor accessories and are able to advise not only in respect of building regulations, but also on styling. There are three main types of staircases to access your mezzanine floor. The most basic of which is a utility staircase which can only be installed as a supplementary fire escape in conjunction with a main Part K staircase. All main staircases must conform to part K of building regulations and are required for all mezzanine floor. In some instances raised platform office access will require full fire protection, this depends on the usage and (or) footprint of the mezzanine. The last style of staircase also conforms to Part K but is styled in accordance with the interior design of the construction, for example the treads may be tiled or clad, and possibly detailing such as chrome handrails and stylish glass balustrades. We would be happy to advise appropriate design considerations to suit all budgets. We only supply to highest quality handrail systems appropriate to your raised platform. Each installation looks at safety requirements and building regulation to ensure your workforce are safe when using stairways and mezzanine floors. Important considerations such as height and loading are taken in account before calculating a recommended modular handrail system. Each style of handrail can be adapted to suit style and budget needs for your project. 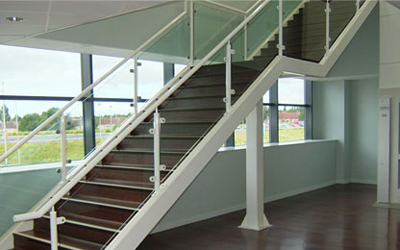 Basic standard handrails along with stainless steel or chrome can be fitted to stairwells and balustrades. Our powder coated handrail are available in a kaleidoscope of colours to match your company branding, they can be installed with matching infill panels or mixed with glass to create a contemporary finish. 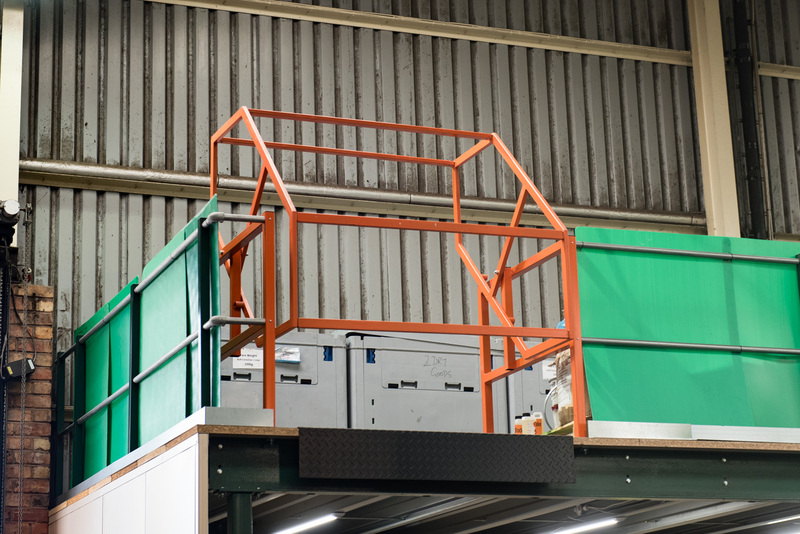 PDC Consultancy are also able to supply practical Mezzanine floor accessories such as pallet gates and “up & over” gates for fork lift truck access. This allows your project to be easily and safely accessible when using the platform to store palleted goods. It is also possible to install lifting equipment both manual and mechanical for both light and heavy loading. Compliment your storage area with pallet racking and for more complex projects we are experienced with the integration of pick and pack automation, such as conveyors and robotics for a full high tech storage solution. Here at PDC we pride ourselves on creative and innovative design to meet all of our clients needs….. final application and practicality are cornerstones to our design process, we feel it is important to start with then end in mind so you get the best productivity and value for money.